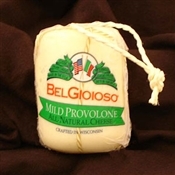 Mild Provolone Award winning Provolone should say it all, but four 1st Place Best of Class awards at the American Cheese Society in 1999, 1996, 1995 and 1990 sums it all up beautifully! 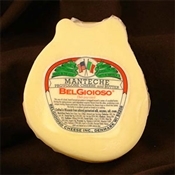 Award winner at The American Cheese Society earning 1st Place in the Italian Type Cheese Category. 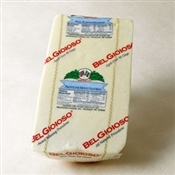 BelGioioso Mild Provolone is a creamy, soft and buttery cheese perfect for melting. 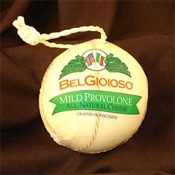 This is the standard of excellence in Provolone, and the one by which all others are judged. It's made with whole cow's milk and aged at least 60 days. Never smoked and never bleached, it won the title of "World's Best". It is an excellent melting cheese, and slices without crumbling or sticking to the slicer. 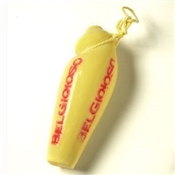 Mild Provolone Salame's wax and rope packaging make a beautiful gift presentation.